It’s bracket time! 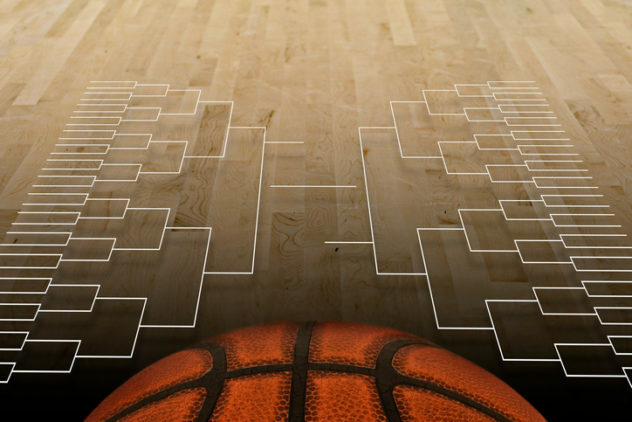 Millions of people fill out brackets every year with the hopes of getting it right and winning big. Whether it’s for your local office or a national pool, the chance to win big money is too enticing to pass up. As I have been filling out brackets since the age of 6 years old, I thought I would share the three factors that help me decide on who has the best chance of winning it all — and how to do the same when it comes to picking a winning automation solution for your business. To start, here’s a little history. The first NCAA tournament was in 1939 and the Oregon Ducks ended up winning the championship. In those days, only eight teams made the big dance. Today, that number has ballooned to over 72 teams in 2017. That’s a lot of unknown factors to account for, leaving the chance of you perfectly predicting the bracket as 1 in 9.2 quintillions. Yup, that’s a real number. So what factors do I follow to increase my chance of winning (and that companies can follow in their hunt for an automation solution)? The Point Guard: The most important position come tournament time. Why? Because point guards are the extension of your coach on the floor. They communicate what offense to run, control game tempo and are usually responsible for defending the other team’s point guard.Think of your customer service representatives (CSRs) as your organizational point people. Not only are they responsible for entering orders, CSRs answer customer questions, handle disputes and make sure customers are taken care of. They are an extension of your company’s values, philosophies, and strategies. According to Forrester Research, great work by CSRs (aka point guard play) can translate to over $80 million in additional revenue. The Coach: One of the most underrated aspects of picking a potential candidate for winning March Madness. Look for a coach with a history of creating a culture of winning. That kind of coach excels at recruiting talent and utilizing that talent to maximize the potential of not only each individual player but of the team as a whole.Organizations that are constantly looking for ways to improve business processes are creating a culture of winning — always improving and never content with last year’s successes. In order to achieve success, they must be willing to invest in their talent by giving them the coaching and tools to meet customer needs in a timely matter. Defense, Defense, and More Defense. In today’s data-driven world, you can look at statistical splits (+/-) to try and predict how far they will go. Field goal percentages at the rim and the three-point line can all be used to forecast a team’s performance come tourney time. Taking a peek at advanced statistics can also reveal underlying issues that wouldn’t otherwise be noticeable.Visibility into how efficiently your company is processing orders and invoices allows organizations to take advantage of things like early payment discounts, and help the supply chain with demand planning and inventory thanks to the ability to monitor orders before they even hit the ERP system! Having a winning bracket usually isn’t based on luck … I mean, there are some folks who guess correctly based on uniform color, mascot, or even who sponsors their shoes. Luck isn’t sustainable, but your organization’s success is — especially once you’ve carefully evaluated your people, process, and technology. Esker can help your organization optimize its business functions with automation, just give us a shout here.